StambleUpon iPad app has updated its landing page, making it visually striking and extremely interesting. I am kind of impressed by the difference this makes for me, and how much more I enjoy using this app now. I found the new layout to be simple, beautiful and inviting. 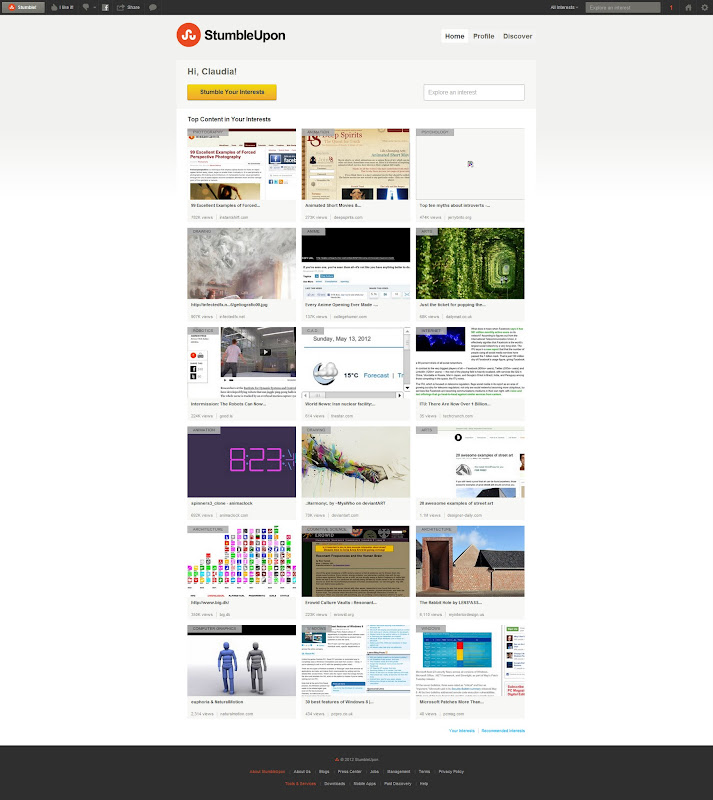 This is the analogous page in the browser. Again, the page is very simple, and tailored to my interests. This is how the page used to look not long ago. The categories were displayed on a bar on the top. The page itself showed the recently rated pages with comments and stars. The side panel showed the people that had rated the page. All of these was irrelevant to the use of this app. This was in a sense a facebook-like page which did not make much sense for this type of app. I honestly have no interest on recent activities, neither on who is an active contributors. Let me wonder around and discover stuff I like, simply and unintrusively.